Your Family, Agile, and You: Make every moment count! I have just encountered this awesome tool! The Time Timer® is a visual timer. As time elapses, the bright red disk disappears, helping everyone see how much time is left. 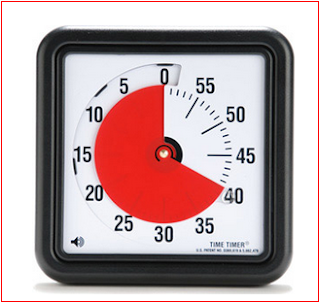 See the Time Timer's quality and features, and discover how this visual timer can help you manage time. How to manage your budget with Agile? !